Are you considering using VoIP but are not entirely sure if your business truly needs it? 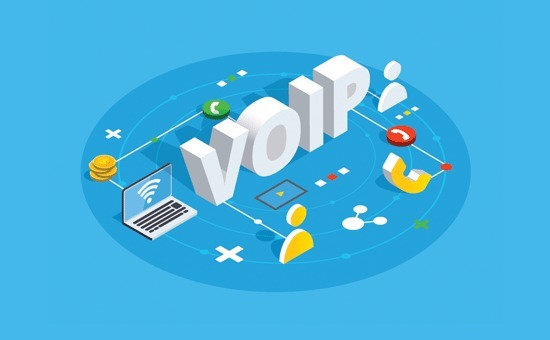 VoIP is a term used for internet phone service which allows you to use advanced call management features using a software on your computer or mobile phone. It is a perfect business phone solution for small businesses. In this article, we will explain what is VoIP and highlight the benefits to help you decide if it’s the best solution for your WordPress business website. VoIP or Voice over IP is a term used to describe internet phone service. Unlike a traditional phone service which uses the landline, VoIP services use the internet to receive and make calls. Following are just some of the benefits of using VoIP for your business. You can receive phone calls using computers, VoIP phonesets, and even mobile phones. You can share one number with several employees. You can easily track call duration, hold times, wait times, and overall usage. Most VoIP services come with call forwarding, caller ID, call waiting, call routing, and more. You can use the same number anywhere you want. It gives you a business phone number, so you don’t have to share your personal number with clients. Cheaper local and even international calls. While VoIP offers flexibility and freedom, it can also have some challenges if you don’t choose the right provider. For example, voice quality on VoIP calls varies depending on the internet connection and the service provider you’re using. Unlike landlines, you’ll lose VoIP connection during a power outage or internet disruption, but this shouldn’t impact most small businesses. Having said that, let’s see when you really need a VoIP service for your business. Does Your Business Need VoIP Business Phone Service? In any business, giving people a way to contact you builds trust and can significantly boost your sales. When starting a website, most business owners add a contact form because it makes it easy for users to contact you via email. However depending on the industry, sometimes customers may prefer more instant communication. This is why many businesses offer live chat or phone number on their websites. Giving users more than one way to communicate with your business can boost customer satisfaction and result in more sales. Whether you run an online store to sell products or a business website to sell services, a VoIP based business phone service can help you grow your business without the high costs. Your website visitors can easily call you to request a quote, ask a pre-sale question, or even request support. In short, VoIP based business phone service enables you to better manage and track your calls, collect customer information, and build stronger relationships with your customers. There are many different business phone service providers offering VoIP based services. Finding the perfect VoIP service for your business can be difficult with such abundance of choices. Lucky for you, we had to do the research for our business, so we could pick the best business phone service in the market. 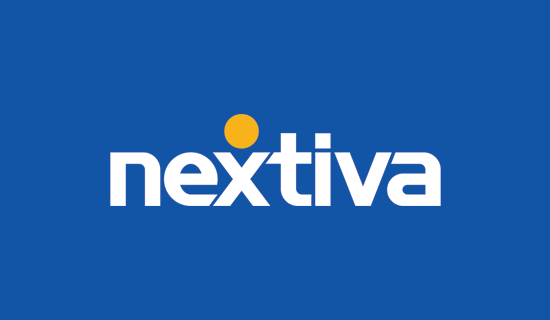 We ended up using Nextiva because they offered all the features we needed including multiple extensions, online fax, and many other advanced call tracking features. RingCentral came as a close second. In case you’re looking, we created a list of the best business phone service for small businesses. These VoIP based service providers offer different packages suitable for small, medium, and large organizations. When choosing a VoIP phone service for your business, you need to follow this very basic checklist. Cost of local vs international calls. Most VoIP services offer different plans for international calls. You need to choose a provider based on the geographic location of your customers. Features available in the VoIP plans. Many companies offer different features while some sell them as separate add-ons which would increase your VoIP bill. Third-party integrations that you can use to connect your VoIP service to other tools like your CRM software, email marketing service, and more. We hope this article helped you learn more about VoIP and why your business needs it. You may also want to see our list of most useful tools to manage and grow your website. The post What is VoIP and Do You Need It for Your Business Website? appeared first on WPBeginner.